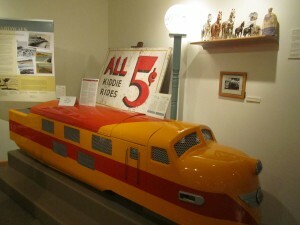 A new exhbit at The Rehoboth Beach Museum features items that illustrate the history of the organization known as CAMP Rehoboth. 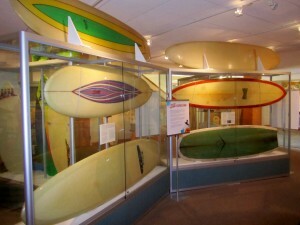 With this exhibit Rehoboth Beach Museum honors the history of CAMP Rehoboth. The organization, whose name is an acronym for Create a More Positive Rehoboth, was founded 24 years ago. CAMP Rehoboth is a LGBT community service organization that has grown from its original small office on Baltimore Avenue, publishing a 4-page newsletter to a nationally-known organization with a long list of services, activities, events and programs. The once modest Letters from CAMP Rehoboth newsletter now runs anywhere from 88 to 120 pages an issue. 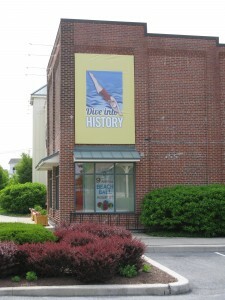 Visitors are invited to visit the Rehoboth Beach Museum to view past issues of the newsletter, photos and t-shirts from the early days of the organization. The shovel used to break ground for the new community center is on display, as is a bumper sticker stating “Keep Rehoboth a Family Town”, a tangible example of the tensions in the community that led to the founding of CAMP Rehoboth. Also on display is a framed ceremonial copy of SB121 which added the words “sexual orientation” as a protected class under Delaware’s non-discrimination laws. What’s Going On?, Rehoboth Beach, Delaware, Events, 2013 Lewes Polar Bear Plunge, Special Olympics Delaware, Pooch Plunge, Polar Ice Cream Throwdown, CAMP Rehoboth Chorus Winter Concert, Delaware Beaches, February 1 – 3, 2013!! The other day someone said to me how much they loved the changes in the seasons. You are not kidding!! We have had frigid temperatures, snow, rain, wind, balmy breezes, and all in a matter of a week. Still, the truth of the matter is that Southern Delaware is lucky to have mild winters. Lots of people coming to play and stay at the Delaware beaches….you know, low property taxes, tax free shopping, restaurants and the outdoors. If you are visiting this week-end you have might have to be bold. You will, definitely, get cold. It is a week-end festival of sorts with events that get the communities together. 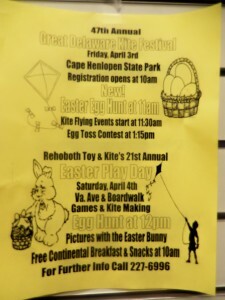 So, this is what’s going on in Rehoboth Beach, Delaware. 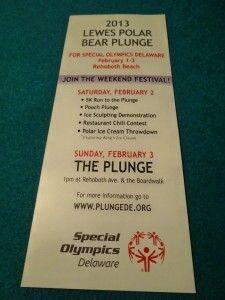 Friday, 2/1 – 2/3 – The Lewes Polar Bear Plunge, a major fundraising event for Special Olympics Delaware. Website? http://www.plungede.org. The Lewes Polar Bear Plunge started in 1992. 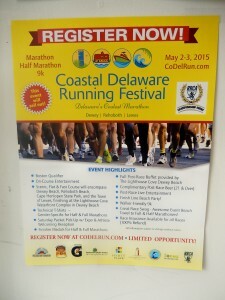 Since then, it has become a Delaware Happening every year. “Special Olympics Delaware changes lives by promoting understanding, acceptance and inclusion between people with and without intellectual disabilities.” Want to know more? Please visit http://www.sode.org. Please note that the OnLine Registration is now closed for the 2013 Plunge, but you can still register at the event as a Day-Of Bears at the Plunge and Day-Of Runners at the run. 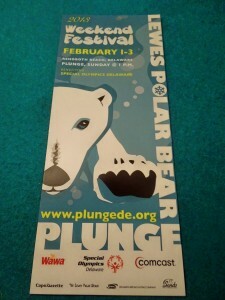 You can find the schedule at http://www.plungede.org/plan-your-plunge/register.asp. 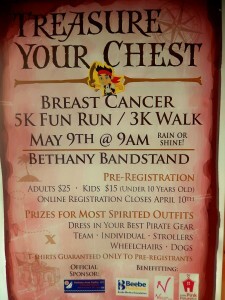 If you have still not registered and is Sunday morning, you can still do that beginning at 10 a.m. All you will need is $50. 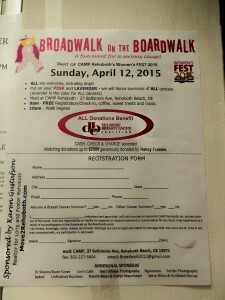 Look for a special line that says “Day-of Bears” at the registration tent on Rehoboth Avenue near the Boardwalk. The Pooch Plunge – Your 4-legged friends can support Special Olympics too. Don’t leave them behind! 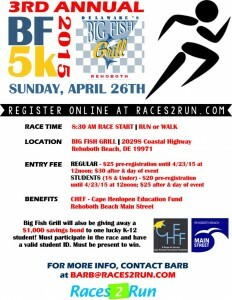 this event is at 11 a.m. on the beach at Rehoboth Avenue. 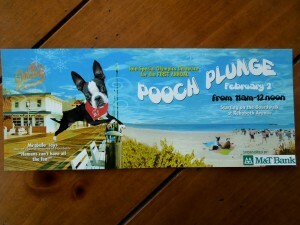 Each pooch registers for $25 and then “plunge” into wading pools that will be lined up at the beach. Each of them will receive an official Pooch Plunge bandana and portable bowl. The Polar Ice Cream Throwdown – King’s Ice Cream!!! It will take place from Noon until 5 p.m. on Saturday, 2/2 at the Rehoboth Beach Convention Center, located on Rehoboth Avenue. At the Throwdown, the 3 most popular flavors will be available for people to sample and vote as their favorite. 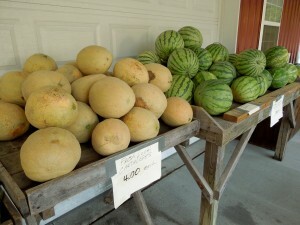 That winning flavor will be featured all summer at King’s Ice Cream, located on Second Street in Lewes. Saturday, 2/2 – CAMP Rehoboth Chorus Annual Winter Concert, Broadway Our Way, at 7:00 p.m. at Epworth United Methodist Church in Rehoboth Beach. The concert will feature popular songs from South Pacific, The Sound of Music, Carousel, West Side Story and Annie Get Your Gun. This year’s concert will be let by Music Director Doug Yetter. Tickets are $20 per person and can be purchased at Camp Rehoboth’s website, http://www.camprehoboth.com, or, you can call 302-227-5620. Tickets will also be sold at the door but, last year’s concert attracted more than 400 people so if you can, get your tickets in advance. CAMP Rehoboth is celebrating 22 years in our community. Its philosophy is to celebrate diversity, build a strong sense of community and create a more positive environment for all people; gay and straight. If you would like to know more, please visit the website, call them at 302- 227-5620 or visit them at 37 Baltimore Avenue in downtown Rehoboth Beach. Save the Date – April 11 through the 14th is CAMP Rehoboth’s Women’s Fest 2013, a 4-day event celebrating women!! More info? Please visit http://www.camprehoboth.com/news-event/womens-fest-2013.htm. Comments Off on What’s Going On?, Rehoboth Beach, Delaware, Events, 2013 Lewes Polar Bear Plunge, Special Olympics Delaware, Pooch Plunge, Polar Ice Cream Throwdown, CAMP Rehoboth Chorus Winter Concert, Delaware Beaches, February 1 – 3, 2013!! 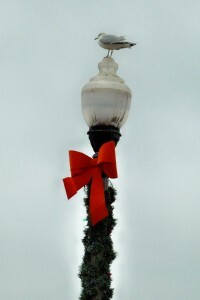 The 2012 tree was donated by the Donahue family. 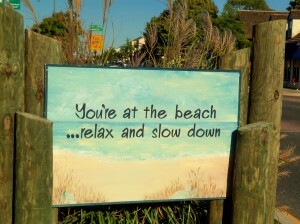 Slow Down…Relax, you are at the Beach! 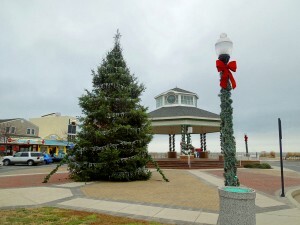 It is hard to kick back and relax but if you are spending time in Rehoboth Beach during the Holidays, you will find that this town will let you do just that. 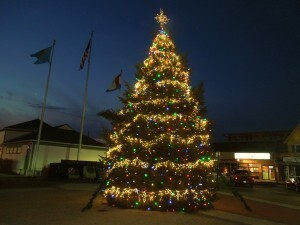 Walk the award-winning boardwalk, have coffee, a little tax free shopping, dinner and entertainment….plus Rehoboth is fully decked out this year!! 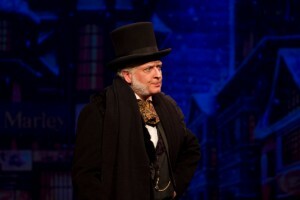 Friday, 12/14, Saturday, 12/15, Sunday, 12/16 – Last weekend to see a never before seen Delaware production of A Christmas Carol by Charles Dickens. The classic story with a script and music brand new to the Clear Space Stage. 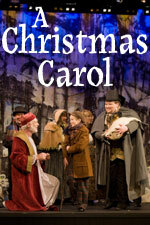 Journey with Ebenezer Scrooge through London of past, present, and future in a new Holiday Tradition at the beach!! Friday and Saturday nights performances will be at 7 p.m. Sunday, it will be at 3 p.m. Clear Space Theatre Co. is located in beautiful downtown Rehoboth Beach. You can grab something to eat and then just walk to enjoy a night of entertainment. Location? 20 Baltimore Avenue. Tel. 302-227-2270. Website? http://www.clearspacetheatre.org. Monday, 12/31 – Save the Date and reserve your spot – Showstoppers on New Year’s Eve. A group of talented vocalists take the stage at 9 p.m. to perform an unforgettable selection of showtunes. Immediately following the show, dance into the New Year with a live swing band led by Doug Yetter. Enjoy a selection of hors d’oeuvres and cash bar all evening. All this plus dessert and a champagne toast at midnight for only $50. 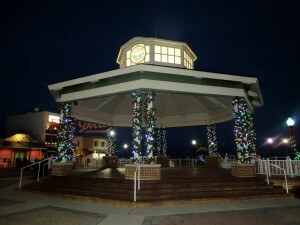 Friday, 12/14 – Entertainment at Jakes Seafood, located at 19178 Coastal Highway, will be from 6 p.m. until 9 p.m. Performing will be John Remy who started performing professionally in 1977 in Ocean City, Maryland. Since the, he has played in countless venues. He is currently playing with Joe Smooth from No Byscuyts, 2 Much Stuff, Poole and the Gang, as well as many solo performances in the mid Atlantic region. Want to know more, please visit http://www.johnremy.com. More info. 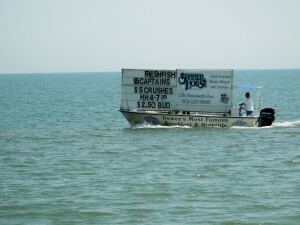 on Jakes Seafood can be found at http://www.jakesseafoodhouse.com. Friday, 12/14 – Red Square Caviar Bar located at 162 Rehoboth Avenue has over 180 Vodkas. Specialty Martinis, Russian Caviar, French Foi Grass with or without truffles, smoked salmon are a few of the delicacies at Red Square. They also have smoked meats and desserts. Tonight, Friday, 12/14 from 7 p.m. until 10 p.m. Everett Spells performs favorite soft, sweet, soul sounds with his magnificent Sax. Door prize drawings every hour for a Jazz Festival wine glass. Tel. 302-226-7782. Website? http://www.redsquarecaviar.net. You can find Red Square Caviar Bar on Facebook. Friday, 12/14, Saturday, 12/15 – Sydney’s Music Revival at Bethany Blues, located at 18385 Coastal Highway, between Lewes and Rehoboth Beach. Performances begin at 8 p.m. On Friday, Elwood Bishop and No Byscuyts. On Saturday, Oh Boy Christmas Roc-a-Billy. Saturday, 12/15 – “George’s Music for the Royal George” at 2:30 p.m. at the Lutheran Church of our Saviour, located on Bay Vista Rd. in Rehoboth Beach. It is being presented by the Brandywine Baroque. Arias from Handel’s “Samson” and songs by Teleman, Festing & Tessarini. $18 for students. Free for 16 and under. More info? Please call 302-594-4544. Website? http://www.brandywinebaroque.org. 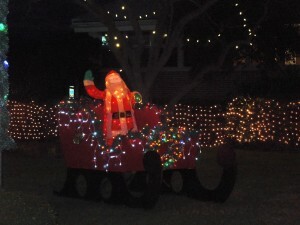 Saturday, 12/14 and Sunday, 12/15 – Santa visits Rehoboth Beach. 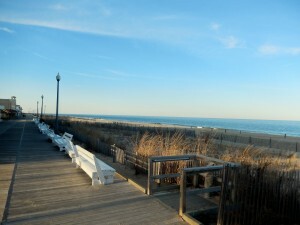 Right at the end of Rehoboth Avenue and the Boardwalk. On Saturday from 3 to 5 p.m. On Sunday from 1 to 3 p.m. No charge. Donations accepted. Bring your camera!! Friday, 12/28 – December Monthly’s Screening will present the award-winning documentary “Bill Cunningham New York” at 7:00 p.m. upstairs screening room at the Movies at Midway located on Coastal Highway in Rehoboth Beach. This documentary traces the singular life and carer of the legendary New York Times fashion photographer, Bill Cunningham, whose iconic photos have spotlighted everything from hip-hop to haute couture. He is now in his 80s and continues to bike around NY shooting the New York Times “On the Street” photo section. The San Francisco Chronicle calls the film “deeply moving” and “visually stunning”. Admission $4 for current members (card must be presented). $6 for future members. Tickets are sold at the door on a first come, first serve basis. Saturday, 12/29 – The Rehoboth Beach Film Society and CAMP Rehoboth are co-sponsoring a screening of “Cloudburst” starring Oscar winning Olympia Dukakis and Brenda Fricker at 2:00 p.m. The screening will be held at the upstairs screening room at the Movies at Midway located on Coastal Highway in Rehoboth Beach. This film was a 3-screening sellout at the 2012 Rehoboth Beach Independent Film Festival and features virtuoso performances from Dukakis and Fricker. Thias uproarious comedy-drama centers on the 2 women, a committed couple for 31 years. Stella (Dukakis) has a foul mouth and a taste for confrontation. Dot (Fricker) is losing both her sight and her grip on reality. When Dot’s neurotic granddaughter shows up, announcing that she intends to break the couple up by putting Dot in a nursing home, Stella sees a way out; they must head to Canada and get married. What follows is an alternately poignant and riotous comedy that has much to say about the true nature of love and commitment. Tickets $7.00 can be purchased online by visiting http://www.rehobothfilm.com, or by calling 302-645-9095. Please note that tickets are non-refundable. Where has the summer gone? Way too fast for many. Someone put on facebook a comment regarding the summer coming to an end. I am saying….not so fast. 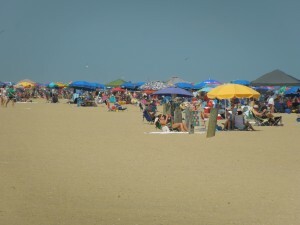 The Second Season in Rehoboth Beach is just beginning and when you might think that the 2012 Summer is a thing of the past, well, think again because Rehoboth Beach has so many festivals and events that it might be worth taking a trip back. Saturday and Sunday, 9/1 and 9/2 – A 2-Night event for CAMP Rehoboth. It is the 25th Sundance Celebration to take place at the Rehoboth Beach Convention Center, located at 229 Rehoboth Ave. in Downtown Rehoboth Beach. 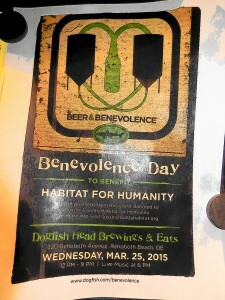 On Saturday there will be silent and live auctions and cocktail buffet, open bar. On Sunday, 9/2 is The Sundance. The party begins at 8 p.m. Dancing until 2 a.m. Open bar; music all night long. $80 for both events or $45 for one. 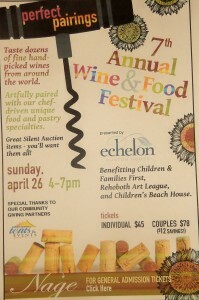 Tickets are available in advance at http://www.camprehoboth.com. Or, by calling 302-227-5620. Cash/Check/American Express/VISA/Master Card/Discover. Until September 30th – Exhibits opening at the Rehoboth Art League – 4th Regional Juried Show, Delaware and New Mexico Paintings, New Works by Denise Dumont. The Rehoboth Art League is located at 12 Dodds Lane. Tel. 302-227-8408. Website? http://www.rehobothartleague.org. 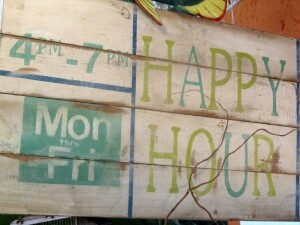 Hours: Monday – Saturday from 10 a.m. until 4 p.m. Sunday from Noon until 4 p.m. Looking for some venues to listen to music? Plenty of them at all the Delaware Beaches. 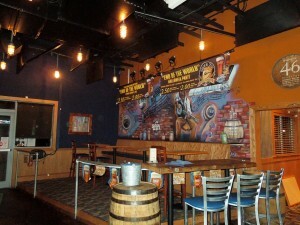 On July 23rd I posted Links to Music Venues at the Delaware Beaches. All you have to do is click on July 23, 2012 and enter any of the sites to see if you like whose playing. 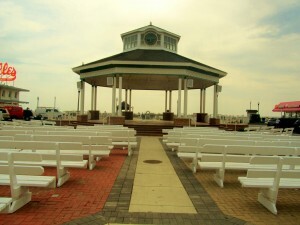 Friday, 8/31 – Rehoboth Beach Bandstand – The Diamonds. Saturday, 9/1, the entertainer will be Mario Rocco. Both sows will begin at 8 p.m. For more info., please visit http://www.rehobothbandstand.com. 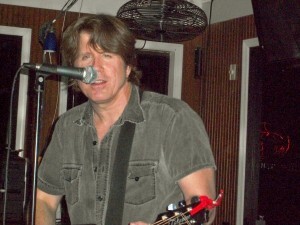 At the Cove in Dewey – Saturday, 9/1, Jimmy Smooth and on Sunday, 9/2, John Eddie will take the stage. These 2 entertainers have big followers at the Beaches. More info? 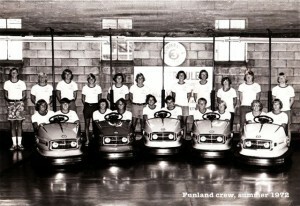 http://www.ruddertowneusa.com. Both shows are supposed to start at 9 p.m.
Don’t want to cook? I don’t blame you. It is a holiday week-end, afterall. 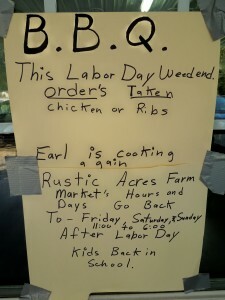 Earl is cooking again, all week-end long at Rustic Acres Farm. This is also the home of Rehoboth Dairy. He will have chicken and ribs, while they last. He told me they are the best and that the meat falls off the bones. You be the judge. Stop by and check them out. They are located on Holland Glad Rd. 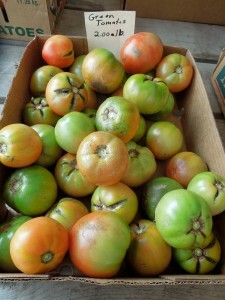 If you are coming from Rehoboth and Dewey, just turn right after Tomato Sunshine. That’s Holland Glade Rd. Then, go almost all the way to the end of the road. They will be on the left. If you are coming from the Lewes areas and points north, then you will have to turn around at the intersection of Rt. 1 and Shuttle Rd., then turn right after Tomato Sunshine. 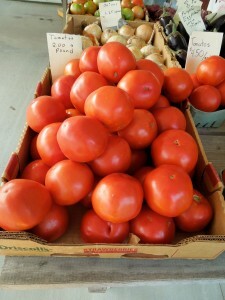 They have local produce, like green tomatoes, red tomatoes, and melons. Earl told me his corn is the best and he gets it from Greenwood. By the way their milk is awesome!! I rave about it all the time. But, Earl also told me that his cream is unbelievable….if you like cream soups he said you won’t taste a better soup if it is made with his cream. Cows are in the back. Fresh!! I almost forgot, they serve ice cream too. 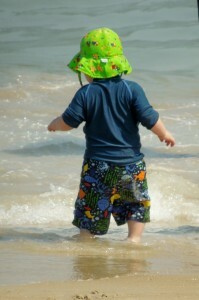 As I sat on the beach in Rehoboth on Thursday, I was watching this little boy. It reminded me of my kids. They loved the beach. This little guy was with his father. It looked like it was his first time of the beach. He was adorable. 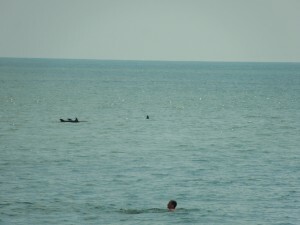 How about the guy swimming with the dolphins right by him? 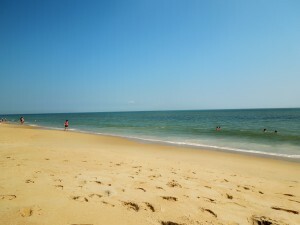 From Lewes to Fenwick Island, there are 24 miles of beach. Yours to pick and choose. The bay on the other side. The best of both worlds. 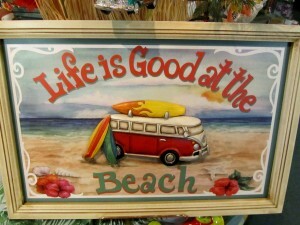 Have a great holiday week-end…..relax you are at the beach!! 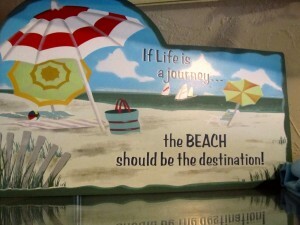 Going to Rehoboth this week-end? So am I. 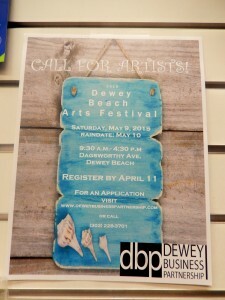 After been away for over a week, it is time to leave The Village by the Sea, or Delray Beach, and start enjoying the beginnings of what is expected to be a fantastic summer season at the Delaware Beaches. Gelato Gal is open again for the season. The weather has been so warm that she will open Tuesdays through Saturdays from 1 p.m. until 9 p.m. Gelato Gal has the most amazing gelato. You are going to be hooked….don’t be mad, we all have had to do a few laps around the neighborhoods to work out those extra calories. Gelato Gal is located at 20200 Coastal Highway, or Rt. 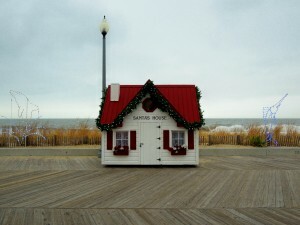 1, in Rehoboth Beach. Tel. 302-227-1001. Website? http://www.gelatogal.com. Amanda Randall is the owner. She will even give you a few tastes to make sure that’s the flavor you like. I received an e-mail from her and she has signed up for an artisan chocolate class at the French Culinary Institute in May . Hopefully, she will be able to introduce another amazing dessert to our area!! Her words, not mine. I have written about this wonderful place several times. Just put Gelato Gal on the search, on the right hand corner of the website. Friday, 4/27 – Film Event brought to all of us by the Rehoboth Beach Film Society. Monthly Screenings feature films and discussions about the various cultures in the world, including the diversity in our own country. 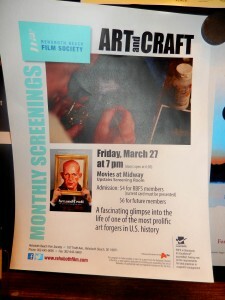 Margin Call at 7 p.m., upstairs Screening Room, at Movies at Midway, located on Coastal Highway. $4 for member of the Society and $6 for future members. Purchase tickets at the door. Margin Call, a thriller drama follows the key people at an investment bank over a 24-hour period, during the early stages of the financial crisis. If you would like to see the trailer, please visit http://www.rehobothfilm.com/film_events_monthly_screenings.html. Janet Redman, Financial Advisor at Merrill Lynch will lead a post-screening discussion. Friday, Saturday, Sunday, 4/27 – 4/29 – Designer Show House, located at 10 Fourth St. in Rehoboth Beach. Vintage 1920s Rehoboth Beach Home decorated by Preeminent Interior and Landscape Designers. Sponsored by The Village Improvement Association. For tickets and information, please call 302-227-2598 or 302-227-1466. Or, better yet, check the website www.rehobothbeachvia.org. Please note that the Designer Show House will also be open on May 4th through May 6th. Friday, 4/27 – Sunday, 4/29 – Jerry’s Girls is a celebration of the music of Jerry Herman. 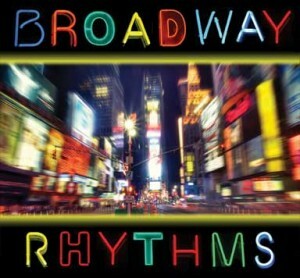 Under the direction of Fay Jacobs, and starring the Annapolis Divas! 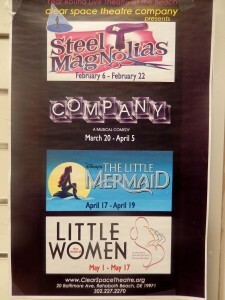 Friday and Saturday performances at 3 p.m. and 8 p.m. Sunday, at 3 p.m. Tickets? 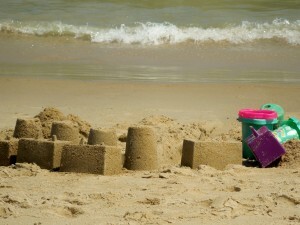 $20 For more info., please call 302-227-5620 or visit http://www.camprehoboth.com. Friday, 4/27 and Saturday, 4/28 – Sydney’s Music Revival at Bethany Blues, Lewes, located at 18385 Coastal Highway. 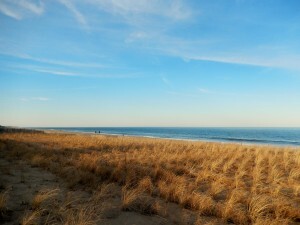 (Between Lewes and Rehoboth Beach). 8:00 p.m.
Saturday, 4/28 – Join members and friends of the Rehoboth Beach Museum on Saturday from 2 to 3 p.m. at the Museum located at 511 Rehoboth Ave., for a discussion about colorful quilt squares painted on barns around the country. 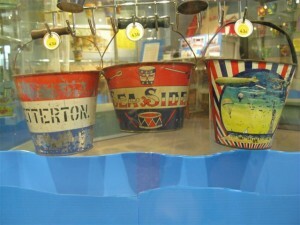 Free with admission to the Museum. Please call 302-227-7310, or visit www.rehobothbeachmuseum.org. 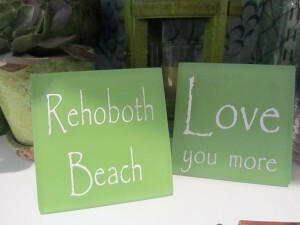 See you in Rehoboth….have a good one. 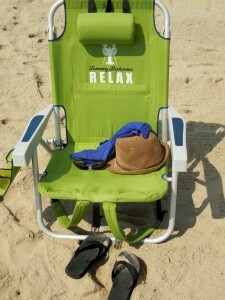 Remember, you are at the beach…kick back and relax!! 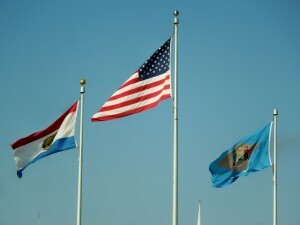 Small towns, scenic waterways, and beach resorts are part of what Southern Delaware is all about. The best of both worlds; the beach and the bay. 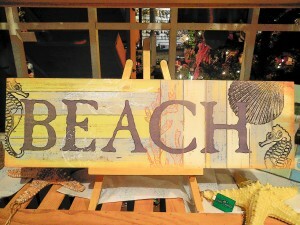 Great eateries; shops with everything you can imagine for the casual living we all love at the beach. One of those towns is Rehoboth Beach. And if you are fortunate to be visiting during spring break or just getting out of your own city for some R & R, then check what’s going on. 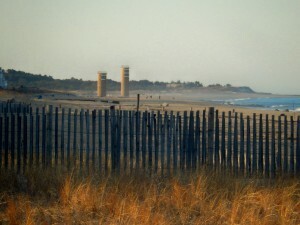 Wednesday, 3/21 – Last Call from the Rehoboth Beach Film Festival for the Artwork Contest for the 2012 Independent Film Festival. Deadline is by 4:45 p.m. For more info., visit http://www.rehobothfilm.com/festival_artwork_guidelines.html. The selected artwork will be used in the creation of a Festival Poster, programs, t-shirts, and other memorabilia and/or Film Society publicity. Thursday, 3/22 – Summer House’s 2nd Annual Countdown to Spring Party!! Starting at 8 p.m. The Summer House is located at 228 Rehoboth Ave. Website? www.summerhousesaloon.com. Tickets are $15 each. A percentage of the ticket sales will be donated to the Rehoboth Beach Volunteer Fire Co., and the Rehoboth Beach Police Dept. First 50 tickets sold get a double shot for the travel voucher. There will be complimentary appetizers and special drink prices. 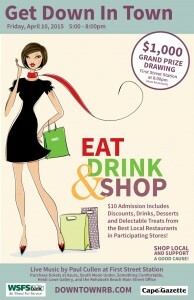 Fabulous Giveaways & Fun Prizes like Phillies Tickets, $500 Travel Voucher, Weber Grill and Golf for Two at Baywood. So, stop by for awesome food, great drinks and good times. Thursday, March 22nd – New weekday matinee!! My Fair Lady is being presented by Clear Space Theatre Company, located at 20 Baltimore Ave. in dowtown Rehoboth Beach. This Thursday, 3/22 the matinee will be at 11 a.m. On Friday, 3/23 is “Pay What You Can” Night. My Fair Lady opened 56 years ago. The creative minds at Clear Space have scaled this show down to fit their intimate 150 seat theatre. Tickets are $30 for General Admission, $25 for Seniors and students, $15 for children. Check www.clearspacetheatre.org for more information, and to purchase tickets online. There will be performances on other days, as well, so make sure to check the website. You may also call 302-227-2270. Friday, 3/23 – Rehoboth Beach Film Society is screening Man in the Chair, starring Christopher Plummer. Monthly Screenings feature films and discussions about various cultures of our world including the many varied cultures in our own country. The doors open at 6:30 p.m. but the screening starts at 7:00 p.m. 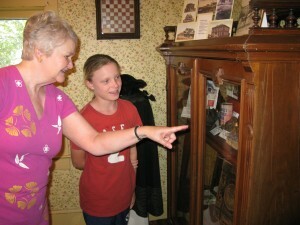 Admission is $4 for members and $6 for future members. Check the website, and the trailer to find what this featured film is all about. www.rehobothfilm.com/film_events_monthly_screenings.html. Worthy of mention is – The DVD of The ’62 Storm is available now for $15. On Ash Wednesday 50 years ago a powerful nor’easter struck the Delaware coast. You can own a copy of the film directed by Delaware filmmaker Michael Oates, which documents the historical event. Please visit www.rehobothfilm.com. 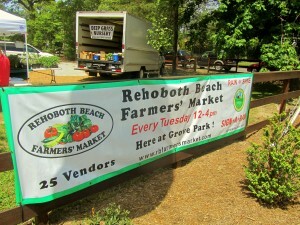 NEWS – The City of Rehoboth Beach goes Parkmobile – Quarters or Cell….it will be your Choice!! Visitors and residents of Rehoboth Beach will be able to conduct their parking transactions by mobile phone. It will be a City Wide Program, available at All On-Street Meters. For more info. visit www.parkmobile.com. You can also contact locally, Carol Everhart at the Rehoboth Beach-Dewey Beach Chamber of Commerce & Visitors Center at 302-227-6446. Parking made simple? 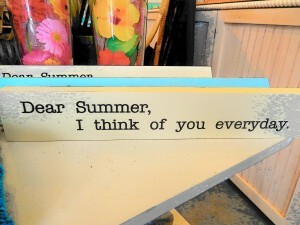 I hope so!! 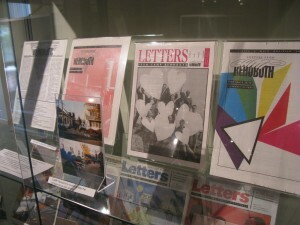 Saturday, 3/24 – Second annual Needlework Exhibit. The Rehoboth Beach Historical Society will host its Second Annual Needlework Exhibit at the Rehoboth Beach Museum. The show ill be judged by a nationally certified judge and ribbons will be awarded. For more information, please visit www.rehobothbeachmuseum.org, call 302-227-7310 or stop by by the Museum located at 511 Rehoboth Ave.
Saturday, 4/14 – I know that it is still some weeks away but since it will be a popular screening, I am passing the info. in case you might want to purchase tickets in advance. The Rehoboth Beach Film Society and Camp Rehoboth are co-sponsoring a screening of “Serving in Silent: the Margarethe Cammermeyer Story” at Women’s Fest 2012. The screening will be at 1:30 p.m. on 3/14 at the Rehoboth Beach Convention Center on Rehoboth Avenue. Glen Close won the Outstanding Lead Acress Emmy for her performance in this made-for t.v. drama about the rights of homosexuals in the military. This true story follows the legal challenge of Col. Margarethe Cammermeyer to her involuntary discharge. After the screening, Grethe Cammermeyer will be present to discuss the journey of her fight against the system. A Women’s Fest 2012 pass includes admission to this screening. Otherwise, tickets are $10 and can be purchased by calling RBFS at 302-645-9095 or online at www.rehobothfilm.com/film_events. 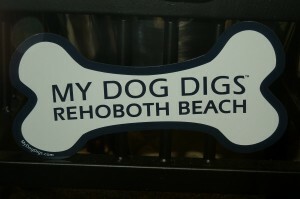 Note: Doggies at the Beach located in Rehoboth Beach is looking for an experienced part time groomer. Expanding their services mean adding another experienced groomer to their staff. 2 days per week/evenings. Finders fee and sign on bonus for the hired experienced groomer. Please call Jim at 302-644-8200. 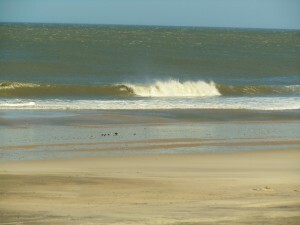 Visit http://www.doggiesatthebeach.com. Have a good one!! Talk to you later. And…remember to take a walk on the beach! !